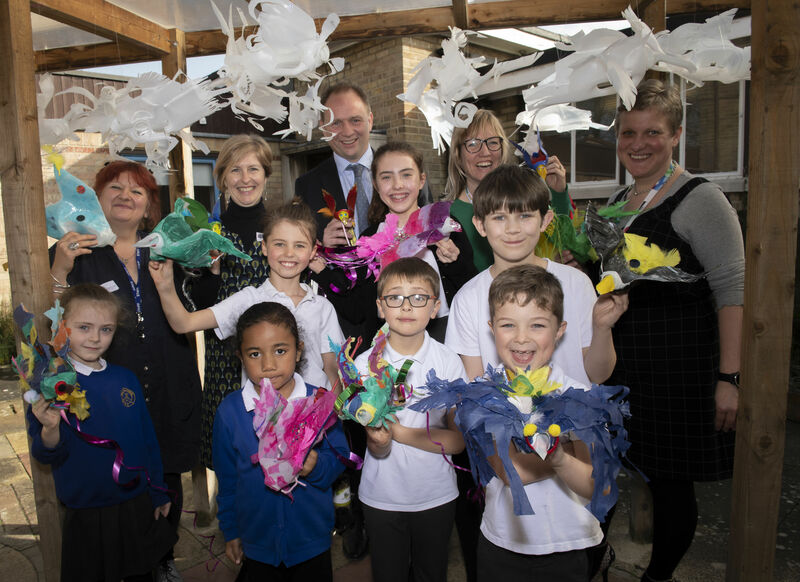 Image – Top row from left: Karen Andrew, Lead Artist; Elaine Burke, Wykeland’s Community Engagement Consultant; Jonathan Stubbs, Wykeland’s Development Director; Kate Staines, Development Officer, Arts and Recreation, Hambleton District Council; and Rebecca Bainbridge, Headteacher, Mill Hill Primary School pictured with “Imaginosity” Ambassadors. 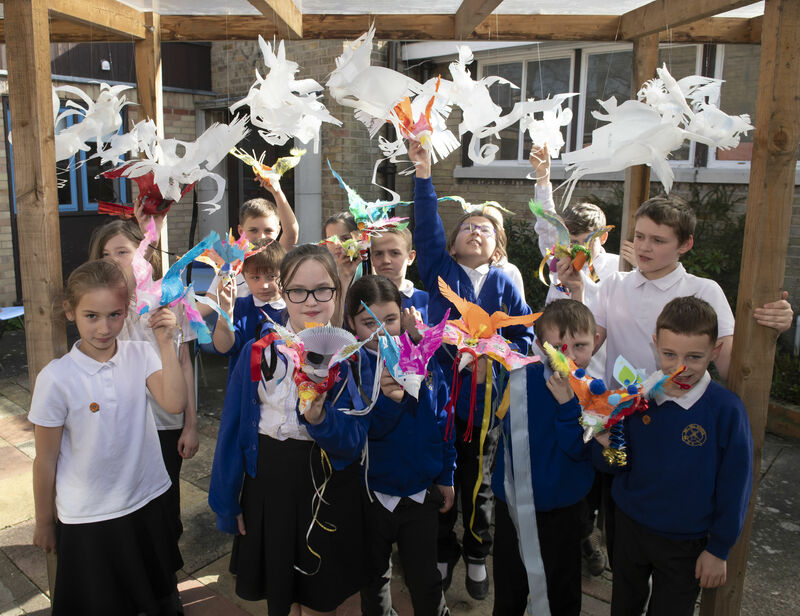 Image – The project – called Imaginosity – saw the children create a flock of beautiful birds out of humble milk cartons. 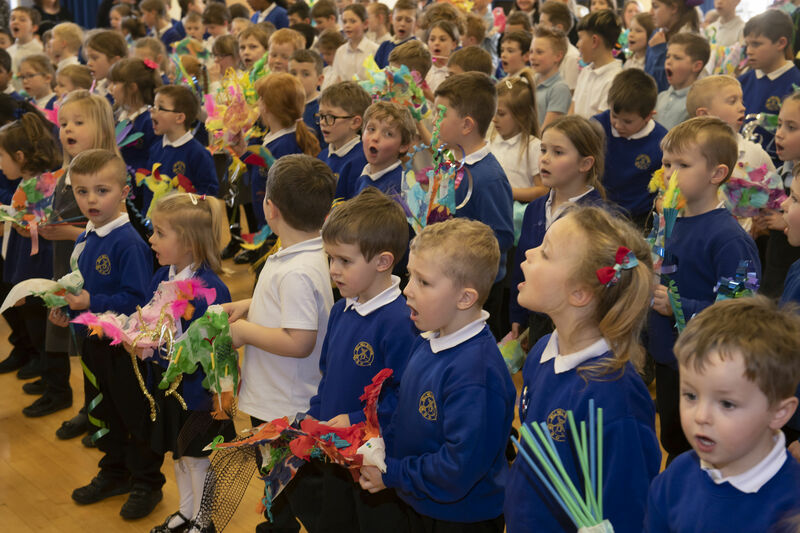 Image – The children showcased their work in a special “Bird Parade” assembly.